A set of feelings/emotions flashcards. It includes: angry, shy, sad, happy, tired/sleepy, scared, surprised, bored, hungry, hot, and cold. This printable, downloadable handout is best suited for high school students, elementary school students and kindergartners and nursery school students at Beginner (pre-A1), Elementary (A1) and Pre-intermediate (A2) level. It is excellent for enhancing your students' Speaking skills. 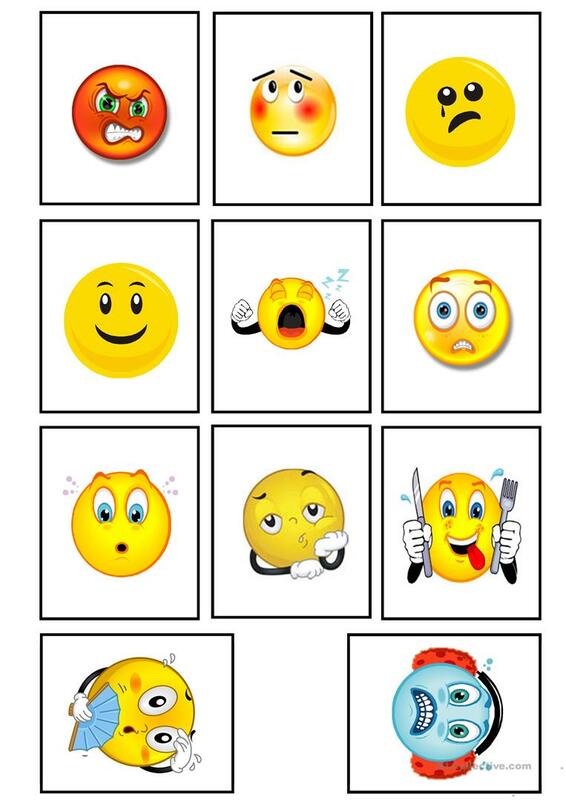 It features the vocabulary topic of Feelings, emotions.